FMC Microprocessor Based Fuel Maintenance Controller. 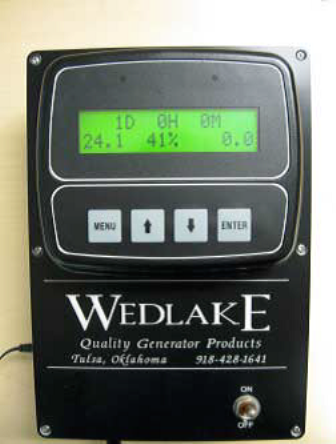 Wedlake is proud to offer our new digital fuel maintenance control system. We have designed a system that is simple to use, reliable and uses industry standard Racor filters. Our FMC controller is state of the art, allowing the customer the ability to change the run time and run intervals. It also comes standard with a fuel level sending unit that monitors and displays the tank level. 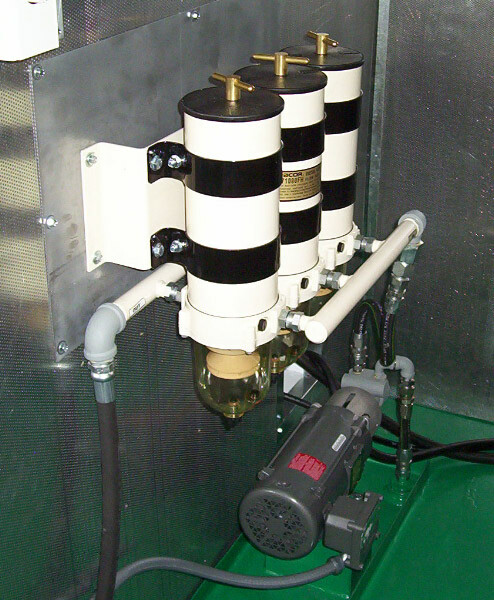 In conjunction with the Racor Filter/Water Separator Assembly, we use a 120vac 1/2hp TEFC motor coupled to a 5.4gpm gear driven self-priming fuel pump. With this system we are confident we can meet your fuel maintenance needs. Pick up tube for supply from tank.